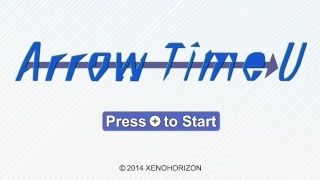 Arrow Time U is a retro-inspired action title developed and published by XenoHorizon where you take control of a neon arrow and try to survive tricky stages filled with enemies and puzzles to solve, but does it provide enough entertainment or is it just a washed up arrow? Keep reading to find out! The game starts off easy with several tutorial levels, but becomes quite difficult later on with hordes of enemies and tricky stage layouts that'll test your intelligence and reflexes. The gameplay is very solid and feels deeper than one would expect from an eshop game at its price, however if you aren't a fan of games that test your gaming abilities then this might not be a game you'd enjoy. 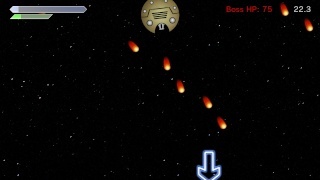 The game also features a handful of boss levels that are essentially survival matches against massive enemies where you must avoid enemy fire and outlast the enemy by avoiding the enemy and eventually the boss will die! The controls are easy to learn and work smoothly in most situations and the Off-TV Play works like a charm with no issues to speak of! As for content this game has a reasonable amount of content with dozens of stages and several hours of gameplay! 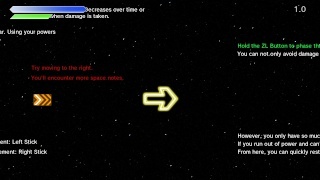 Arrow Time U has very retro graphics that are reminiscent of early arcade titles and they fit the simplistic arcade-style gameplay like a glove while the music and special effects are equally retro giving this game a truly authentic retro feel that not too many modern indie arcade titles possess! The menu design, however does feel more like an ios title than an arcade game which feels slightly out of place, but it is only a minor complaint. With solid arcade-style gameplay, smooth controls, and authentic retro graphics and music, Arrow Time U is a solid game for its price and is worth checking out if you own a Wii U! This review is now live! Please enjoy. I didn't like this game, but whatever nice review dude. This game was awful, I don't mean any disrespect @Ichigofan, but you're way too nice for your own good. Though it seems like your recent reviews have been more critical.